1.1 HOW IS IT POSSIBLE THAT I CAN'T ADD ANY PRODUCTS TO MY CART? You should check your browser’s security settings if it is not possible to add products to your cart. Most probably this will be the reason you can’t add the products. If you can’t get if fixed, we will be happy to help you with it. 1.2 ARE THE PRODUCTS IN MY CART RESERVED FOR ME? No it is not possible to reserve products for a certain period of time. Products on our webshop will remain available for all customers even if you have added the products to your cart. Therefore it could be possible that an item disappears from the shopping cart while shopping because someone else has bought it right at that moment. If you want to be sure to get the product(s) in your cart, we recommend you to order the item immediately. 1.3 I DIDN'T RECEIVE A ORDER/SHOPPING CONFIRMATION? It could be possible that both e-mails are blocked by your email program’s spam filter. We advise you to check your spam filter settings and if necessary adapt the settings. Please contact us if you are not able to get it working properly. We will be happy to help you. You can easily cancel an order by removing the product from the cart. Besides, whenever you leave the side the order will not be made. However, when returning to the webshop within a few hours or days the product will still be in your cart. 1.5 HOW DOES THE ORDERPROCESS WORK WHEN I WANT TO PLACE AN ORDER? Feel free to contact us whenever you may have any questions about the order process. 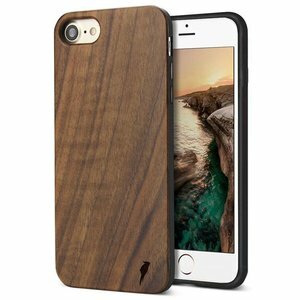 2.1 WHAT PAYMENT METHODS ARE AVAILABLE AT WOODIFUL.COM? 2.2 HOW LONG DOES IT TAKE BEFORE MY PAYMENT HAS BEEN PROCESSED? – Payment in advance takes 1 to 3 business days. As a result, it will take a few days longer before your order is shipped. – All other payment methods will be processed immediately. 3.1 DO I RECEIVE A TRACK & TRACE CODE? All orders are shipped including a track & trace code. This doesn’t mean we know when your order will be delivered exactly. DHL, PostNL or a local postorder company will inform you about the exact delivery date and time. 3.2 WHAT ARE THE SHIPPING COSTS FOR MY ORDER? 3.3 WHEN WILL MY ORDER BE DELIVERED? Delivery time will vary across countries. Orders within Europe will be delivered in 1 to 5 days. Orders outside Europe will be delivered in 3 to 7 days. We will upload a complete overview of delivery times as soon as possible. 3.4 I DID NOT RECEIVE A SHIPPING CONFIRMATION E-MAIL? 4.1 IS IT POSSIBLE TO RETURN MY PRODUCT? Yes ofcourse. You can return a product within 10 days upon receipt. We will return the purchase amount within two weeks upon receipt of the returned product. Additional shipping costs when returning a product will be for your own account. 4.2 HOW DO I RETURN A PRODUCT? You can return a product back to the address below, in a solid package, so the product will remain undamaged. Please make sure you list your name, address, e-mail address and order number on the package.